I admit it. It took some getting used to saying our call sign over the radio. Our crew's assigned call sign was "CAP 995" and we alternately referred to our crew as "CAP Niner-Niner Five" (which is correct), "CAP Nine-Ninety Five," and "CAPFlight 995" which was the previous version of CAP call signs. 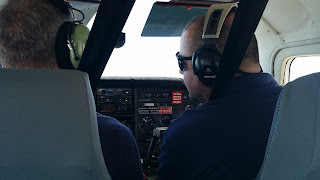 The good news is that this was only a training exercise and we were under the watchful eye and guidance of two of the most experienced communications experts in South Coast Group 7 (of which Squadron 150 is a part of); Lt. Col. William Phinizy and Capt. John Frerichs. Both Lt. Col. Phinizy and Capt. Frerichs created the simulated mission, assigned aircrews and ground teams and monitored our communications with each other. 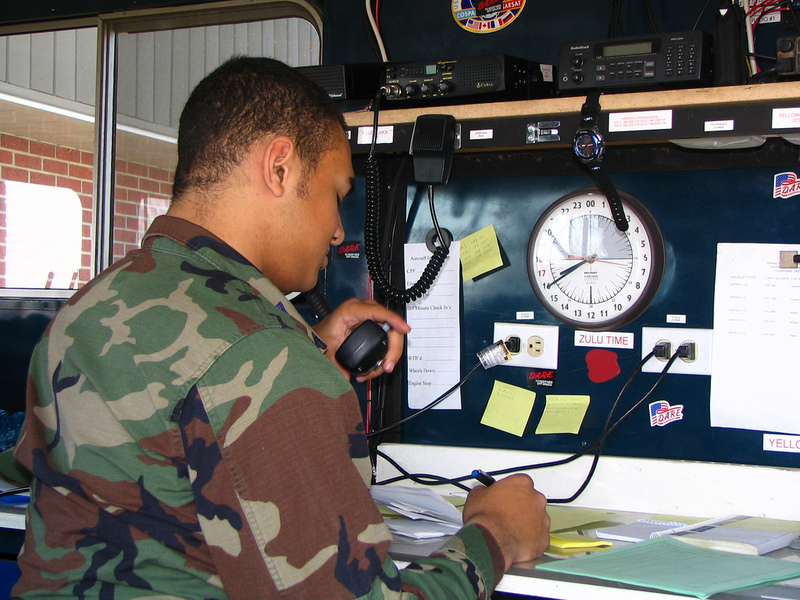 Soon all of the squadron members settled into a rhythm and the communications became smoother, clearer and closer to the high standards that Civil Air Patrol expects and our missions demand from us. Both aircrews practices guiding their ground teams to a possible sighting; ground teams reported their findings to mission base; and mission base kept the mission running as smoothly as possible. At the end of the exercise one of the aircrews requested permission to "return to base" and "debrief"
at the local Red Robin restaurant and all participants concurred! One of the great things about CAP is that members get to participate in events like these, which provide new learning opportunities, are (honestly) fun to be a part of, and which also prepare us for our mission of serving our communities in times of need. 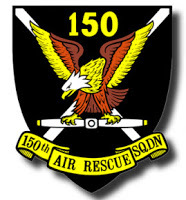 This is Squadron 150 ... Out. It is with great sadness that we announce the passing of our friend, colleague and fellow Civil Air Patrol and Long Beach Senior Squadron 150 member, Captain Michael Cardenas on 21 March, 2016. Capt. Cardenas has been a valued member of CAP since 1987. After joining he was promoted to 2nd Lieutenant, became a 1st Lieutenant in 1991 and earned the grade of Captain in 2000. Capt. Cardenas served in several leadership positions within the squadron. Most recently he was an Assistant Public Affairs Officer and an Assistant Safety Officer. Prior to this he served as the squadron’s Safety Officer. Prior to transferring to Squadron 150, Capt. Cardenas held the positions of Commander, Communications Officer and Emergency Services Officer for El Monte Composite Squadron 21; he also served as the Emergency Services Officer for Los Angeles County Group 1. After serving in Squadron 21 and Group 1, Capt. Cardenas became a member of Fullerton Senior Squadron 40, then transferred to Squadron 150 in 2012. Capt. Cardenas held a Technician rating in the Communications specialty track and also received the Benjamin O. Davis Leadership Award. Capt. Cardenas loved Civil Air Patrol and was often seen representing (and recruiting for) Squadron 150 and Civil Air Patrol at community events. If there was a way he could talk to someone about CAP, he would, and did…often! We will miss him, and offer our deepest condolences to his wife Norma, his daughter Natalie and his family and friends. In Part One of our "What's In Your Flight Bag" series we talked about the different types of flight bags that both pilots and non-pilot aircrew members use when on missions. Today we'll talk about the piece of equipment that keeps aircrews connected with the world around them ... aviation headsets. 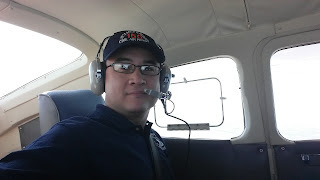 I asked several squadron members about the headsets they currently use and why, and I also compiled some information from CAPTalk, an online forum for Civil Air Patrol members to provide you with a variety of opinion and experiences regarding headsets. 2d Lt. Kerem Yogurtcugil had this to say about his headset preference, "I prefer to use a noise cancelling headset as they do work great especially in a small aircraft where the engine noise can be overwhelming. Some models cover ears and some you can insert in your ear just like a headphone. (I) prefer the full cover (for the) same reason above. There are bunch of different models out there and bottom line is reliability and durability. I have been using Bose for the last 7-8 years and did not have a single issue. Bose can be expensive, anywhere up to $1000 but with deals going on, certain amount of interest free financing made it my choice." A CAPTalk user said, "As a long time David Clark user, I decided to buy the Bose after I got my CFI. At first I was afraid of not being able to hear the engine and RPM changes, but I can say that you can still hear the engine and hear RPM changes. It just takes a little to get used to. If you plan on doing a lot of flying, I highly recommend a ANR headset. If you like David Clark, the H10-13X is a decent ANR." Another CAPTalk user said, "I've flown with a DC (David Clark) H10-60 Passive for 10 years and it's done well by me. 10 years ago ANR was a much newer system in headsets and at the time I was leary of the reliability with the added compexity of the system with the added cost and a need for a battery. Actually used an ANR briefly when I was flying with a buddy a while back but I guess I didn't really give it a lot of time to test. To me a good quality passive will do fine for most of us." As for me (SM Anacan, here) since I am not a pilot, and I had a small budget to work with here, I didn't believe it was important for me to have a high-end active noise cancelling headset. But it was important for me to have my own headset, so I didn't have to keep borrowing the headset in our aircraft, and so that I'd always be prepared with my own gear for future missions. So, I scoured eBay and found a used Softcomm C-40 Passive Noise Reduction headset for a great price. It needed new ear pads, but the great people at Softcomm sent me new ear pads for free! It does have the older style rubber headband top, instead of the "pillow top" style that is most common today, but after wearing it for a couple of flight hours on my last training mission, I found it pretty comfortable ... especially for the price and my role as a mission scanner. I have to admit it, one of the serendipities of being a member of Civil Air Patrol is that I get to buy “gear” (almost) guilt free. After all it’s going to a good cause (the missions of CAP) and may even be tax deductible! How can you lose? As a non-pilot I had NO idea what type of gear I needed to procure to become a mission scanner-so I did lots of research, checked with the members of the squadron and observed what other CAP members had when on training exercises. Over the next few weeks we’ll talk about the gear that aircrew members, pilots and non-pilots, use, what they recommend and things to think about when procuring your flight equipment. This week I thought it a good idea to start with FLIGHT BAGS! After all, you have to put your stuff into something, right? Squadron 150 member 2d Lt. Kerem Yogurtcugil said, "My preference (is a) slightly bigger one (flight bag) with headset pockets on either sides so I can carry an extra headset just in case and I can pack a light jacket or a sweater with me so I do not have to make an extra carry on bag." "As a (mission) scanner, I have a regular school backpack.... In the front compartment I have my headset, pens/markers, air sickness bags and anti nausea tabs (just in case), small flashlight. In the main compartment I have a binder with sectionals, plotter, my knee board with a pad of paper, checklists and reference material, and a small tablet with Avare, portable battery and cable. In the side pouch is a water bottle, and the other side pouch has a couple protein bars." "I just use a USAF helmet bag"
"... my wife was looking at range bags and showed me a Bulldog Brand Range Bag. Just the right size, internal Velcro dividers, a good number of inside and outside pockets, and made from heavy duty ballistic nylon with real brass zippers, and the best part was the cost $35.00. It's large enough to carry two headsets, flashlights, camera, extra glasses, handheld transceiver, IPad, and several folders..."
As for me (Rommel, here,) I'm not a pilot and I used a backpack on my first SAREX (Search and Rescue Exercise) and didn't like it for my gear. So I just picked up a used Cencal Sierra flight bag on eBay for a really great price. I've found that it's just big enough, with enough pockets and compartments to hold the things I want to (headset, memo pad, charts, jacket, snacks and water) but not so big that it takes up too much storage space in the aircraft. In future posts we'll talk about the other types of flight gear we use on our missions. 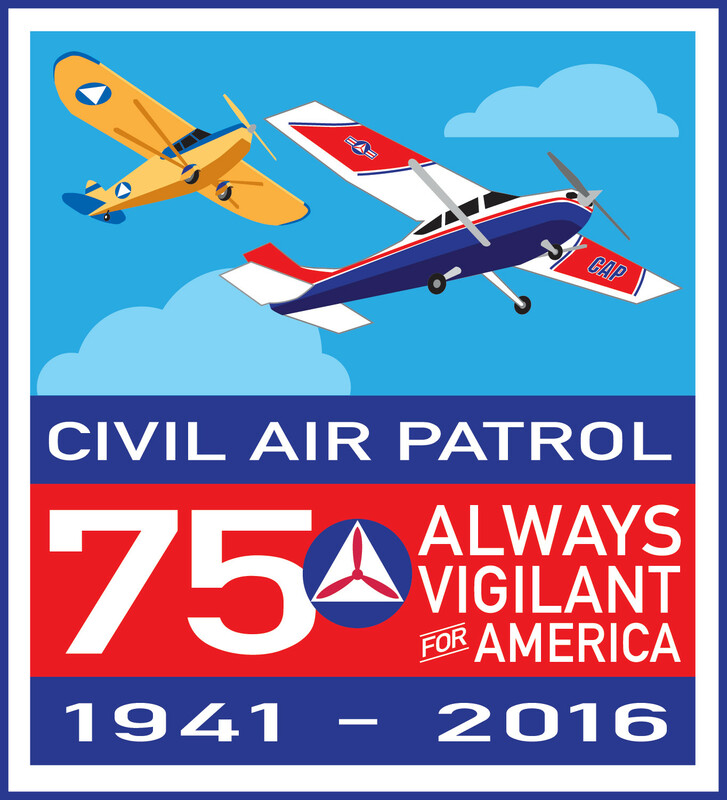 As Civil Air Patrol’s Command Council convenes in Washington, D.C., this week to brief Congress on the U.S. Air Force auxiliary’s primary missions, CAP members will also launch the organization’s 75th anniversary celebration. CAP’s 2016 Legislative Day is scheduled for Feb. 25 on Capitol Hill. Every year, delegations from each of Civil Air Patrol’s 52 wings meet with their representatives in the U.S. House and U.S. Senate to update them on CAP’s congressionally mandated missions of emergency services, aerospace education and cadet programs. Civil Air Patrol’s chief historian, Col. Frank Blazich, said the organization’s milestone anniversary provides “a unique opportunity” to elevate public awareness about CAP, its heritage, programs and future missions. “Notably, we are able to reflect upon the accomplishments of our membership and organization to better position both for the next 75 years,” he said. 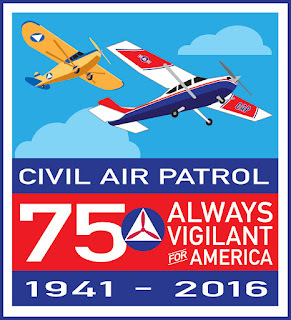 CAP doesn’t officially turn 75 years old until Dec. 1, 2016, but officials believe the birthday is worthy of a yearlong celebration, beginning with a reception on the evening of Feb. 25 at the Crystal City Marriott at the Ronald Reagan Washington National Airport. The anniversary launch event will feature remarks from Capt. Jill Paulson, granddaughter of CAP’s founder Gill Robb Wilson. “This will give us a chance to thank the many people who have supported Civil Air Patrol — members of Congress, our Air Force partners and others. Their support has helped make CAP the premier public service organization it is today,” said Vazquez. “Since its earliest days, when more than 200,000 Americans responded to the call for service by volunteering during World War II, CAP has kept a vigilant watch on the homeland,” said Blazich. “Today that vigilance continues in a myriad of emergency services, disaster relief and homeland security missions, each focused on the well-being and protection of our citizens. Since 2010, CAP has responded to both natural and manmade disasters, including the Deepwater Horizon oil spill on the Gulf Coast, Hurricane Sandy on the Eastern Seaboard, flooding in the Midwest, tornadoes in the South and Southwest, wildfires in California, a mudslide in Washington state and a blizzard in South Dakota. Aircrews have also provided tsunami warnings in Hawaii. CAP’s search and rescue efforts, aided by advances in technology, have resulted in nearly 400 lives saved nationwide in the past six years. Homeland security missions include aerial reconnaissance conducted near America’s shipyards and on the nation’s waterways. CAP also provides air defense exercises for Air Force fighters protecting U.S. airspace and helps train U.S. troops before they deploy overseas. “This 75th anniversary celebration is our time to raise our flag, to show our colors,” said Vazquez, who will oversee CAP’s activities on Capitol Hill, as well as the Command Council’s annual winter meeting, scheduled for Feb. 26-27 at the Crystal City Marriott. The Command Council consists of CAP’s national commander, national vice commander and executive officer, as well as CAP’s eight region commanders and its 52 wing commanders representing the 50 states, the District of Columbia, Puerto Rico and the U.S. Virgin Islands. Its members serve as advisers to the national commander. 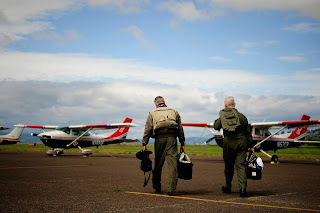 Civil Air Patrol, the official auxiliary of the U.S. Air Force, is a nonprofit organization with 56,000 members nationwide, operating a fleet of 550 aircraft. 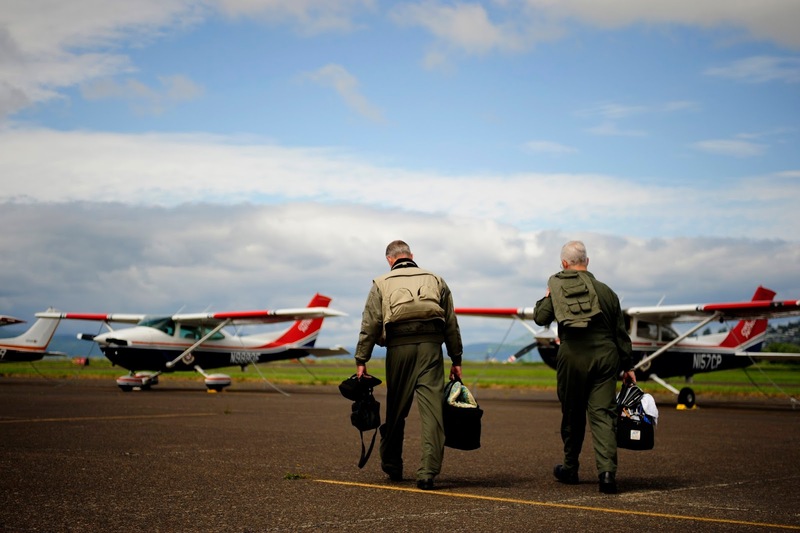 CAP, in its Air Force auxiliary role, performs about 90 percent of continental U.S. inland search and rescue missions as tasked by the Air Force Rescue Coordination Center and is credited by the AFRCC with saving an average of 78 lives annually. Its unpaid professionals also perform homeland security, disaster relief and drug interdiction missions at the request of federal, state and local agencies. The members play a leading role in aerospace education and serve as mentors to 24,000 young people currently participating in the CAP cadet programs. Performing missions for America for the past 74 years, CAP received the Congressional Gold Medal in 2014 in honor of the heroic efforts of its World War II veterans. CAP also participates in Wreaths Across America, an initiative to remember, honor and teach about the sacrifices of U.S. military veterans. Visit http://www.capvolunteernow.com for more information.